Group of 5 males, Ottawa University students are looking to rent the other two bedrooms . Each room is $575 per month unfurnished or $600 per month furnished. Heat, hydro, hot water, hot water heater rental, cable and internet expenses are split with the group. Shared common area, kitchen and bathrooms. Rideau Canal and much more. Hardwood, tile, and laminate floors, fireplace, efficiency gas furnace, central air-conditioning. Kitchen, 1 bedroom, living room, private back deck with nice view of the university campus and downtown. Three bedrooms, full bathroom plus full en-suite bath, skylight over stairs. 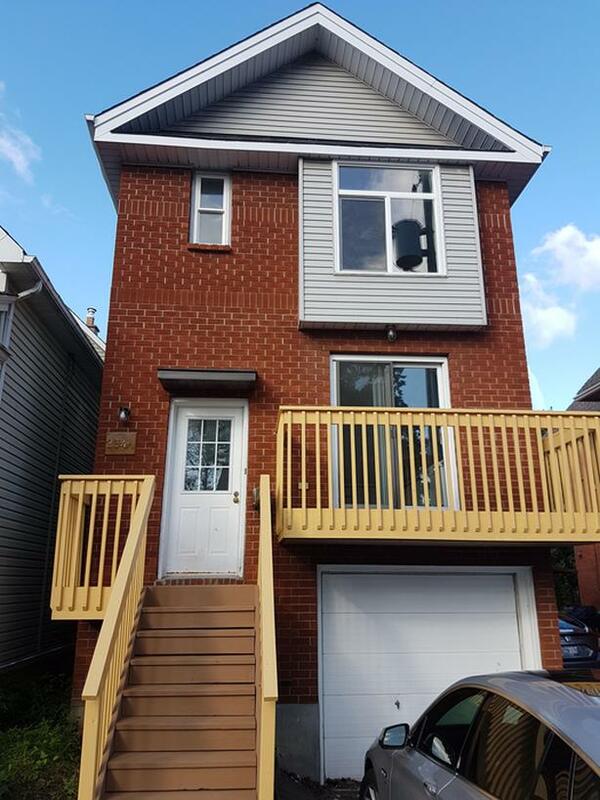 Two bedrooms, full bathroom, laundry room, walkout private patio. Stove, Refrigerators, Dishwasher, Washer, Dryer.